What Is PVC (Vinyl) Membrane Roofing? Polyvinyl chloride (PVC) membrane roofing provides an eye appealing design with solid materials that protect the most important part of a business or residential home. It comes in a variety of colors, so you can easily match your home or businesses’ color scheme. Plus, by covering the building with a watertight roof, there are no worries of rain, snow, or ice damage getting in and destroying the plywood sheathing, insulation, and sheetrock. PVC roofing is ideal for low-slope roofing. These roofs do not have much of a slope for water run off. This compromises the trusses and other roofing materials. If a roof fails, new roofing becomes the only solution, and it’s a costly one at that. A low-slope roof is one that doesn’t rise more than 14 degrees. The roof contains plywood sheathing over the trusses or supports. Over the plywood sheathing is a waterproof layer to keep water from entering the roof. Next is the reinforcement layer that protects the waterproof layer from punctures or other damage. Finally, the roofing surface is the top layer. Roofing surfaces might be shingles or PVC membrane roofing. Rarely are shingles used on low-slope roofs. Shingles are designed to have water and snow run off them because of the pitch of the roof. Without a slope, the water or snow collects and leads to water damage. As a result, the National Roofing Contractors Association lists five types of roofs as suitable for a low-slope roof. 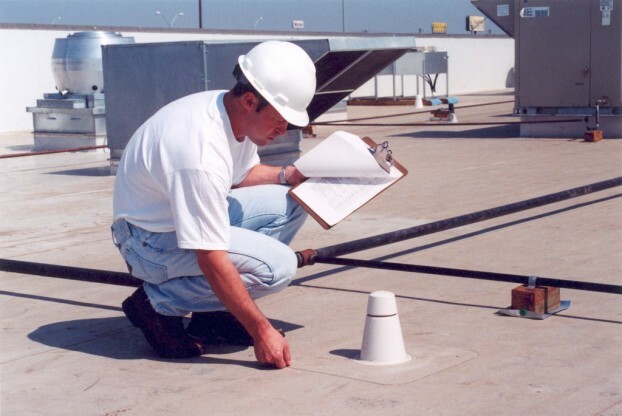 These fix include a mix of metal, PVC, or spray polyurethane foam roofing systems. Low slope roofs are popular options, especially on one story buildings or buildings designed to have vegetation (green roofs). While not as popular in the U.S., green roofs are growing in popularity in England. The roofs are covered in decorative plants. Any rain that falls is absorbed by the vegetation. With many roofing materials, seams are connected using adhesive or tape. On a PVC membrane roof, seams are welded using extreme heat to create a smooth seam that water cannot penetrate. Vinyl is flexible. As a building settles over time, some roofing materials crack with the shifts. PVC membrane roofing moves with the settling, so the structural integrity is not affected. In hot climates, light roofing colors, a possibility with PVC, do not draw sunlight. By reflecting the sunlight, the building and roof stays cooler. You save money on cooling bills in the summer. It also helps keep the temperature on a block or neighborhood lower. When a number of black roofs are placed in the same area, they draw the sunlight and raise the overall temperature. Light-colored PVC roofs eliminate that problem. PVC is recyclable. Decades from now, if a roof does need replacing or a building is being torn down, the polyvinyl material can be melted down and reused for new items. This is much easier on landfills that receive millions of tons of asphalt shingles in just one year. Perhaps one of the best reasons to consider PVC membrane roofing is the fact that it is Energy Star, Green Globe, and LEED compliant. It also meets California’s Title 24 requirements. You can have an energy efficient home, long-lasting protection, and not have to sacrifice the aesthetic appeal. Tom Danielson writes on home improvement, roofing, cement mixing, foundation laying, renovation and other kindred subjects. Curious readers who’d like to learn more about roof repair in Dallas, Texas can view quality resources from an established company. Image credit goes to Interlock Roofing.